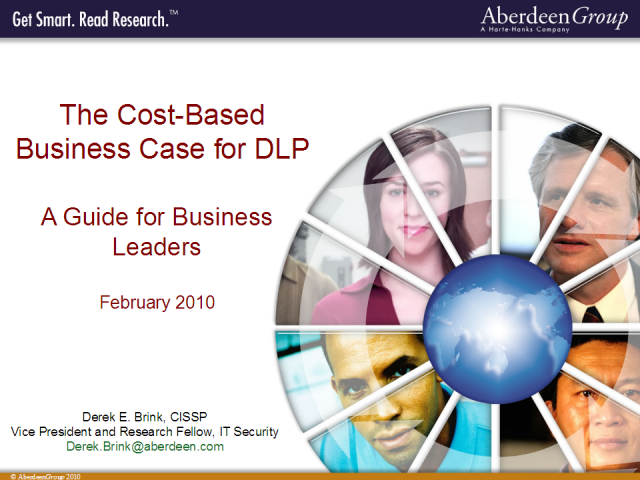 Aberdeen's benchmark research in Data Loss Prevention (DLP) has shown that technologies to protect sensitive data against loss or exposure can indeed be deployed in a cost-effective manner, but business justifications for data protection can still be elusive. Because it is both quantified and business-oriented, identifying business value based on reducing the total cost of data protection is perhaps the most compelling way to make the business case for investments to safeguard your critical data. Leading the way are reducing the number of actual data loss or data exposure incidents, and reducing the number of audit deficiencies related to safeguarding sensitive data.